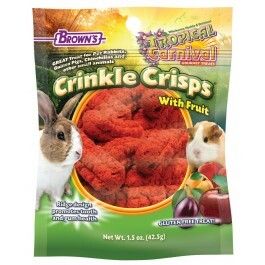 Tropical Carnival® Crinkle Crisps® with Fruit treats have special dental ridges designed to promote tooth and gum care. 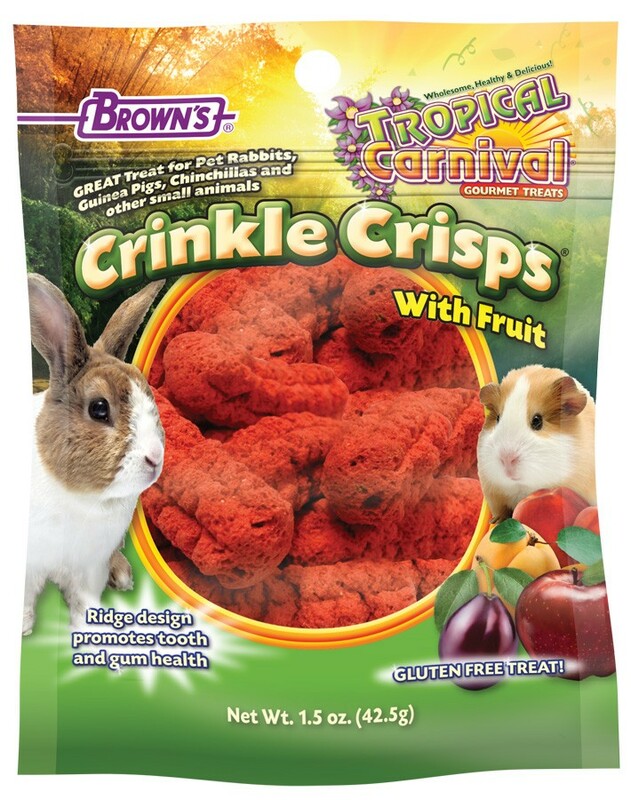 Tropical Carnival® Crinkle Crisps® with Fruit treats have special dental ridges designed to promote tooth and gum care. Small animal teeth continuously grow and require constant chewing and grinding to keep them worn down. The special porous texture and dental ridge design work in conjunction with your animals chewing to ensure their overall tooth health. 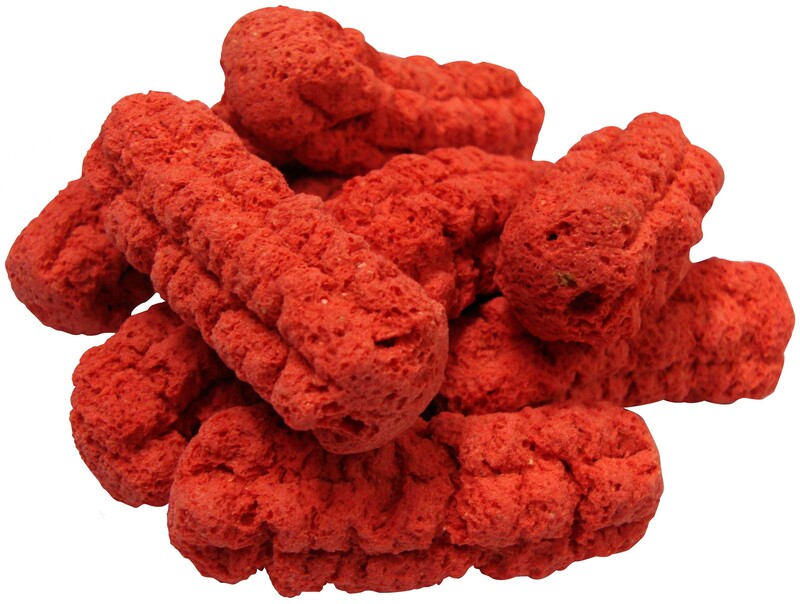 Your pet will crave the super tasty real fruit recipe! Peas, Rice, Potato Starch, Fructose, Dehydrated Peach, Dehydrated Apple, Dehydrated Plum, Dehydrated Apricot, Soybean Oil (preserved with Mixed Tocopherols), Calcium Carbonate, Choline Chloride, Ferrous Sulfate, Biotin, Zinc Sulfate, Ascorbic Acid (a preservative), Manganese Sulfate, Yucca Schidigera Extract, Vitamin E Supplement, Niacinamide, d-Calcium Pantothenate, Sodium Selenite, Calcium Iodate, Folic Acid, Vitamin A Acetate, Riboflavin, Pyridoxine Hydrochloride, Thiamine Mononitrate, Vitamin D3 Supplement, Cobalt Sulfate, Inositol, Colors Added (Red 40), Artificial Berry Flavor.